Recently I had an article featuring a number of cloud hosted webmaster tools. However, as handy as cloud hosted tools like these are, it’s sometimes not the most comforting thing to know that your data and the services these companies are providing are in the hands of a third party. Google has shut their door on free services in the past, and it could happen again. Self Hosted applications are the solution to this. A self hosted application means that the software / service is running on your own servers, so you are always in control of your own data and the future of the service. Feature wise, Piwik is basically shot for shot with Google, and perhaps is even doing a few things much better then they are. 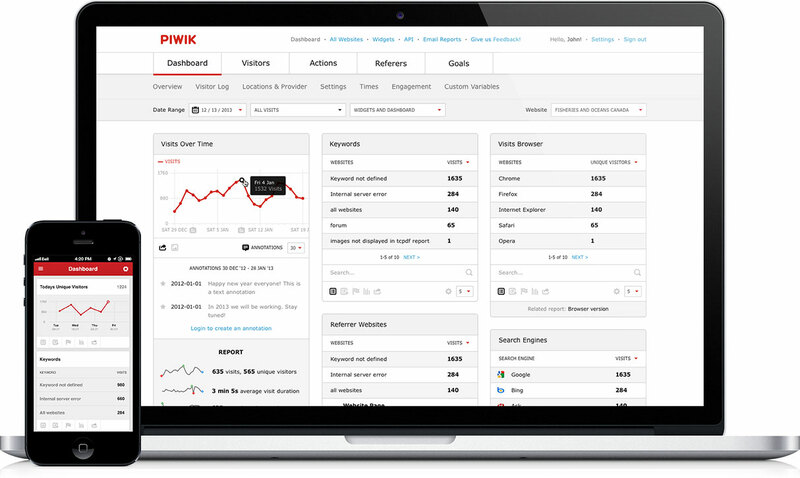 I have been using Piwik for the past 2-3 months along side Google Analytics and find that they each fill a niche quite well, but if I had to get rid of one of them tomorrow, I would probably be keeping Piwik. Piwik, put simply, lays the data out for me in a much more useful and direct manner that doesn’t force me to hunt through menu’s checking item by item. I can get a quick overview of what is going on with my websites and quickly drill into the metrics that matter to me. 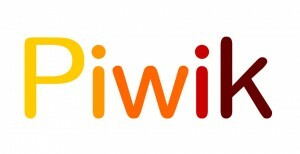 Piwik additionally has mobile versions of the application that easily tie into your website. (Although the website itself is responsive and mobile apps are not really necessary). 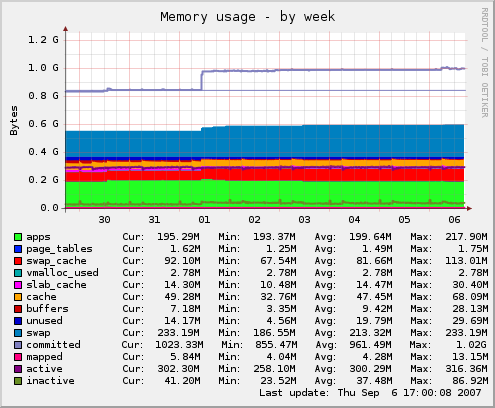 Munin is a free and open source server monitoring software. 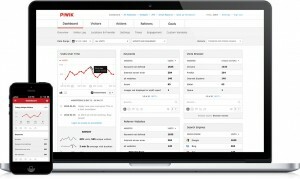 It is self hosted, light weight and has a very simple and non-intrusive approach to server monitoring. Munin “nodes” will run on each of your servers and report all server metrics up to the host. 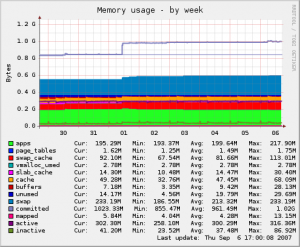 The Munin host software will run on the server in which you plan to serve the content. The web site itself is not actually dynamic and does not require anything more then Apache or an equivalent web server. The host takes the statistics from the nodes and generates static html pages and graph images every 5 minutes which replace the content in the folders currently. This allows for a very quick interface without tieing up any of your systems resources. Obviously this is not going to apply to everyone, but as WordPress has exploded in popularity over the past number of years, I think it’s only fair to mention this amazing multiple site management tool for webmasters who manage WordPress websites. This software, which is not Open Source, but has a free version will run on a MySQL/PHP based web server and ties into your WordPress installations via a client side plugin. The free features of the software are fairly basic, but do a good job of removing some time consuming and mundane tasks for webmasters hosting a number of WordPress sites. There are additionally a number of “premium” plugins beyond the free version which expand functionality considerably… for a cost. All in all it is a fairly simple application, but not having to log into 10+ sites to update plugins every day is a huge benefit to multi site webmasters. Roundcube is a free and open source self hosted webmail solution, allowing you to turn your server into your own private email host without the need for POP3 configuration in your email client or playing around with email forwarding. Roundcube runs on a LAMP stack and ties into your IMAP server. The software is quite light weight and will not put much stress on your server. Installation is not too difficult but may require a bit of familiarity with web server management past your cPanel interface to get up and running. Although there are a number of self hosted webmail solutions, I think Roundcube is the best and most people would consider it to be the industry standard. Were you expecting to see something on our list but didn’t? Please let us know in the comments if we are missing any top quality, free, and much preferably Open Source software in our list so we can review it and add as needed! 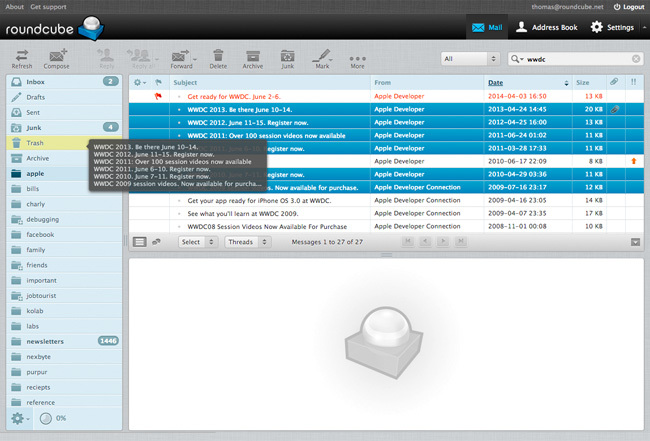 I like Phpwebmail as webmail client. Its easy,self-hosted and the interface is very similar to Gmail.